Visiting The Chowmahalla Palace was always in the itinerary but the moment I entered the palace gates I was speechless ! 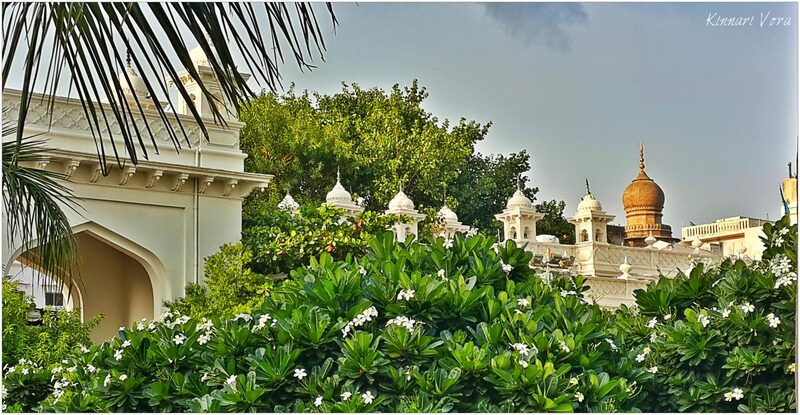 The beauty of the palace just takes your breath away and its white walls give the whole place a very serene feel. This place is a paradise for photographers because of its visual attractiveness and its quaint charming ways. 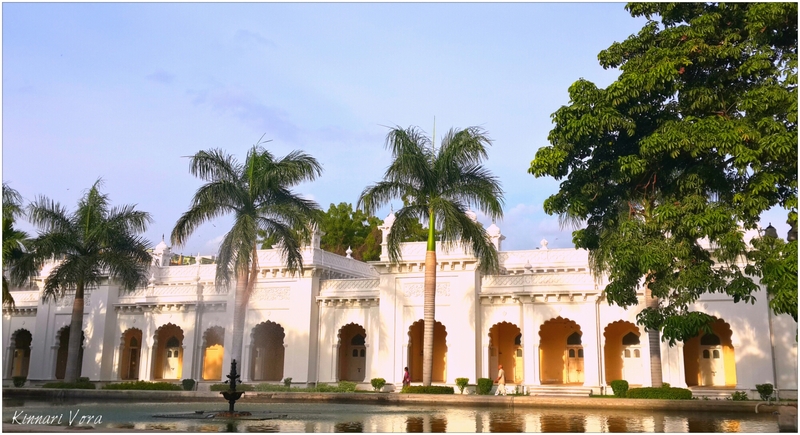 The Chowmahalla Palace which also means ‘4 palaces’ is a palace of the Nizams of Hyderabad state. 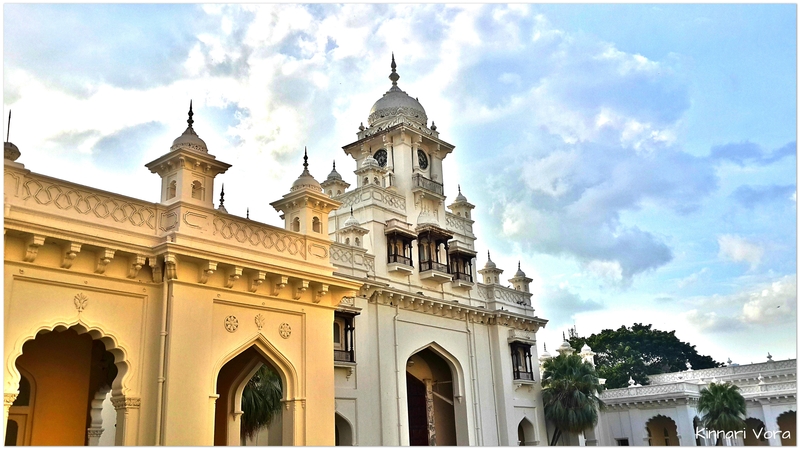 The palace is situated in the heart of the old city just a few minutes from the famous Charminar. The Palace is so surrounded by shops and old houses that one wouldn’t in their wildest dreams imagine that behind the walls lies such a magnificent palace. The Chowmahalla Palace is one of the well kept secrets of this city.. completely uncommercialized.. Serene.. Grand.. A feast for ones eyes. The Palace consists of two courtyards, Southern Courtyard and Northern Courtyard. The Courtyards have elegant palaces, the grand Khilwat, fountains and gardens. The palace grounds are spread over 12 acres as of today. The Clock Tower lies in the Northern Courtyard. It looks magnificent with its dome reaching out to the sky. 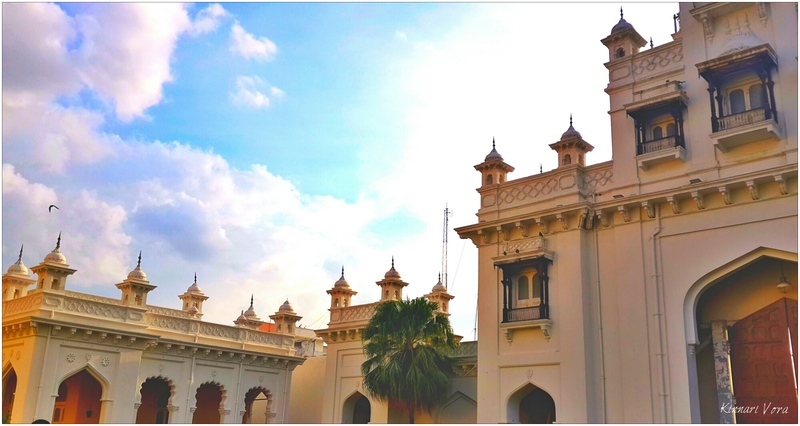 The Clock is affectionately called the ‘The Khilwat Clock’ and has been ticking away ever since the palace was built which was nearly over 200 years ago. The Northern Courtyard has a lengthy corridor of rooms located on the eastern side, a central fountain, pool, the erstwhile administrative block and the iconic Shishe – Alat or the mirror image hall. This part of the Chowmahalla Palace has massive mughal-style domes and several Persian elements, such as ornately carved stucco that decorates the Khilwat Mubarak. Opposite the Bara Imam are the mirror image rooms which were guest for official dignitaries and guests of the Nizams. The Southern Courtyard is the oldest part of the Palace. Within its boundaries are four palaces – Afzal Mahal, Mahtab Mahal, Tahniyat Mahal and Aftab Mahal. The construction of this courtyard is done in the neo-classical architectural style. Khilwat Mubarak is a grand structure with massive pillars. 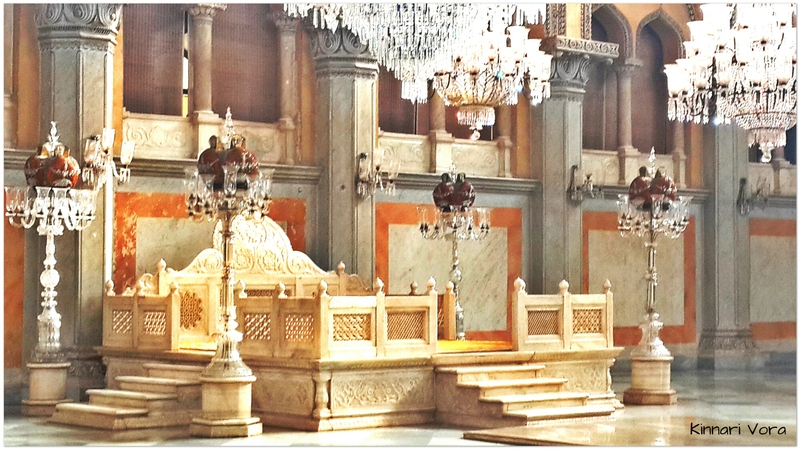 Here you will find a marble platform on which the royal seating was arranged. The Nizam sat in this Durbar and held court and participated in various religious and other ceremonies. 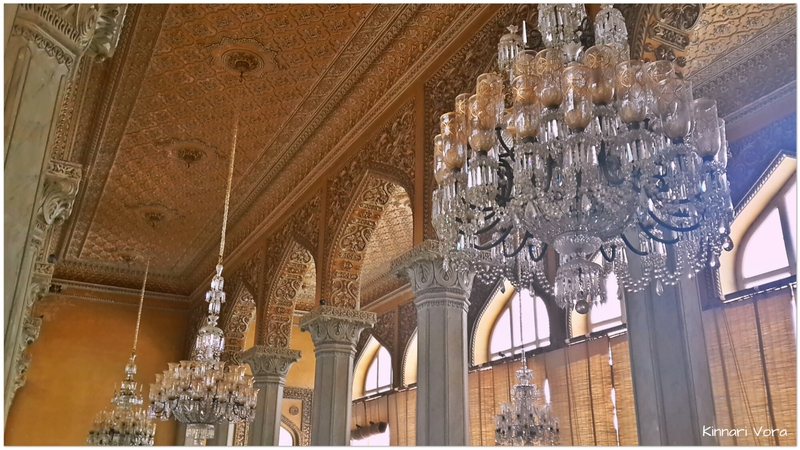 The highlight of the Durbar are the 19 awe-inspiring chandeliers, which are made from Belgian crystal. As I leave this wonderful place with beautiful memories and memorable photos I can’t wait for my next adventure to unfold itself. A new place. A different time. Information Credits: Thanks to chowmahalla.com & telangana.booktourism.com for providing me with all the information that i needed. Photo Warnings: Please do not use these photographs anywhere and in any form without my written permission. Ur from Hyd ! Thts a surprise.. I dint know..
Photographs are beautiful and a visual treat!! And a good description of the Palace too! !